This sherry is made from the native grape, Palomino Fino which comes from older vines on the estate vineyard “Pago Balbaino” of white albariza soils containing 70-80% limestone. 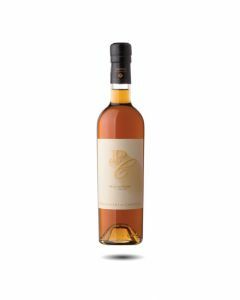 The wine is fortified early on in the winemaking process with grape spirit so that the cap of ‘flor’ yeast doesn’t grow (as in fino sherry) and it undergoes oxidative ageing. 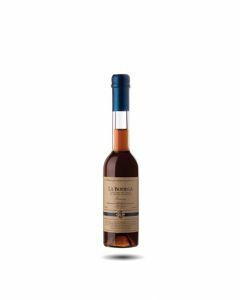 It is aged for 30 years using the soleras and criaderas system. It is a complex sherry, with aromas such as dry fruit, hazelnuts, chocolate and sweet spices . The sherry’s concentration gives it a very pure, almost saline finish on the palate which make the sherry incredibly appetizing. A beautiful sherry to serve with nuts or aged cheeses. For devoted sherry lovers, Palo Cortado is often their favourite category. 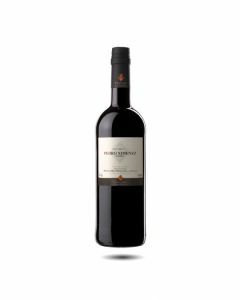 The Fernando de Castillo Antique range represents the premium wines of the house. All of these wines are single-solera, which means they’re matured in one solera system, rather than being a blend of different soleras that have aged separately. A highly awarded wine which seems still to be reasonably priced, there are very expressive, elegant aromas on the nose with orange marmalade , fresh hints of citrus, roasted nuts with marzipan and caramel. 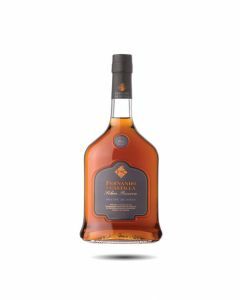 On the palate it is beautifully balanced between full flavours, some spice and figs, and the characteristic acidity and salty tang which distinguish many of this bodega’s sherries.